Join us for a TeachMeet on wellbeing at BBC Broadcasting House, Belfast which is guaranteed to inspire and energise, hosted by BBC Teach. Join us for a TeachMeet at BBC Broadcasting House, Belfast which is guaranteed to inspire and energise. 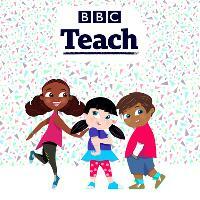 The theme is wellbeing and the event is hosted by BBC Teach. There’ll be free refreshments, inspiring talks by teachers (either 7 mins or 3 mins), a preview of Super Movers (free literacy and numeracy resources for teachers from the BBC and the Premier League) and a whole lot of networking. We're inviting Primary school teachers, teaching assistants and other educators to join us in sharing ideas tips and experiences around teacher and pupil wellbeing - as an audience member or as a speaker. A TeachMeet is not a spectator sport. You don’t have to present but you're amongst friends, so if you've got a story to tell or some tips you want to share, then we want to hear them! Email michael.farnell@bbc.co.uk with: the title of your presentation, whether it is 7 or 3 minutes, your Twitter handle and contact details. We will try to include as many presentations as possible. Please arrive in time to allow for all security checks to take place before the TeachMeet starts. Guests will be subject to a person and bag search. Please only bring essential items and keep belongings to a minimum. We do not have cloakroom facilities, so pleas do not bring luggage with you. We hope you understand the need for these extra checks and we look forward to seeing you soon.